He’ll never be a SEAL, but he might win the Marine’s heart. I was honestly a little hesitant to read this one, as it brings back secondary characters from previous books and makes them the primary ones. I was pleasantly surprised that these characters were so successful in their own roles. Logan has debilitating PTSD. He was dating another fellow soldier, but we all saw how that ended... after getting himself under some control and after he stopped drinking, he took up sketching his nightmares. It's a way for him to process his dreams. Because he has such a difficult time in his PTSD, getting a desk job in a place that is conscious about his PTSD, it helps to create a sense of security for him. He knows that he can't mess this chance up, because it might be his last. Logan is the more mature of the two characters in this book. I felt that he had grown a lot since the last time I saw him. Then you have Casey. Casey was injured while in SEAL training and hates that people keep telling him that he's a lucky solider to have never been able to complete the training and be sent to who knows where. His sensitivity to the comments are slightly overdone and it felt old after a while. But once he was able to process his reactions and see that there may be some merit to them, his character developed much more. Casey and Logan have an office romance. But it's their individual struggles that, for me, made the story. I think that Casey is almost too immature to really put someone else first in a relationship. So that was a stretch for me. He had only one thing in mind for almost the entirety of the book and once he had his realization, the book was coming to an end. I wish we were able to see him develop more in his "after" role. Overall, this was a sweet story about two soldiers trying to find their way. I enjoyed it. This is a gentler addition to the Anchor Point series. Familiar issues like alcoholism and PTSD return but the storyline here is simpler and Logan and Casey’s work and personal lives are fairly uncomplicated. 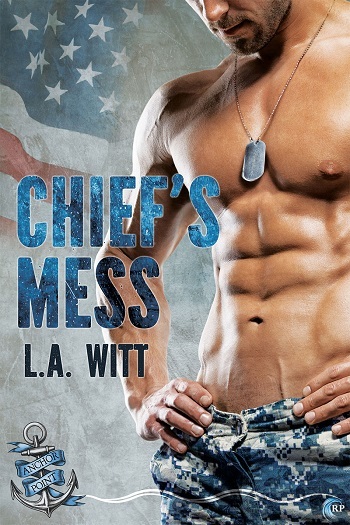 Like characters in earlier books, Logan suffers from debilitating PTSD and he wrestles with an alcohol problem. Casey’s problems are new to the series – a serious leg injury ended his dream of becoming a SEAL and he is struggling to imagine a life beyond that dream. I really love Logan. 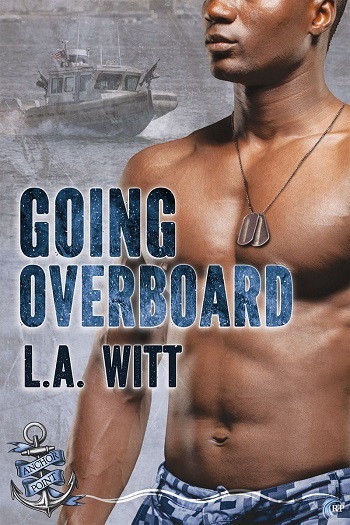 The hot mess ex from Afraid to Fly redeems himself admirably here. He is honest and reflective and self-aware. Casey feels like a bit of a snowflake, constantly taking offense. He feels young and immature and the happy for now (HFN) feels necessary because I’m still not sure he’ll be able to put Logan first at any point. I have mixed reactions to this series and I’m just as conflicted about this book. It is simpler and much lighter than the last couple of books, but I miss the military politics and details from earlier books. Casey and Logan don’t really work for me in a happily ever after sense, but they make for a crazy hot, time-limited, office fling. For reviews & more info, check out our Chief’s Mess post. For reviews & more info, check out our Rank & File post. For reviews & more info, check out our Going Overboard post. For reviews & more info, check out our Once Burned post. 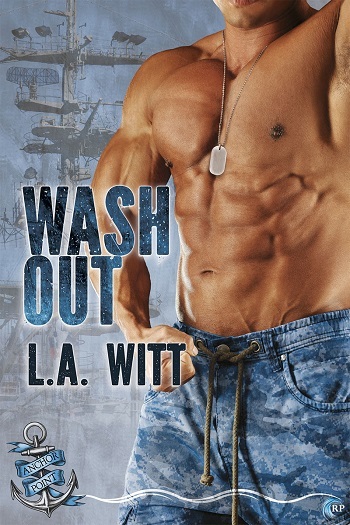 Reviewers on the Wicked Reads Review Team were provided a free copy of Wash Out (Anchor Point #7) by L.A. Witt to read and review.